Descubra cómo optimizar los incidentes de TI, la gestión de problemas, cambios y activos utilizando las mejores prácticas de ITIL y las automatizaciones correctas. Philippine OpenGov Leadership Forum 2019 will focus on the tools and techniques that build on your agency’s mission for an effective digital government strategy. Explore the latest developer tools and cloud technologies and learn how to put your skills to work in new areas. Gartner IT Infrastructure, Operations Management & Cloud Strategy Conference in São Paulo covers topics on Microservices, Data Center security & much more. Check out new product features and updates, integrations, and product launches, all aimed at keeping you ahead of the curve. Learn how to streamline IT incident, problem, change, and asset management using a combination of automations and ITIL best practices. Learn how to manage, monitor & audit your Active Directory environment and secure your IT infrastructure from potential threats. Check out new product features and updates, integrations, and use cases, all aimed at keeping you ahead of the curve. Learn how to manage, monitor & audit your AD environment and secure your IT infrastructure from potential threats from the comfort of your workplace. Agora em 2019, partimos para o terceiro ano com foco no tema Transformação Digital nos serviços de TI. An open and informative atmosphere for demonstrating technology and software solutions, cutting edge keynote presentations and open discussions on the most pressing infosec and cyber resilience issues impacting the region. The European Identity & Cloud Conference offers a mixture of best practice discussions, visionary presentations, and networking opportunities with a future-oriented community. Join our free workshop and know how our network management solutions can help you in monitoring your networks, servers and apps effectively. More than 500 IT executives and subject matter experts learn about the most important best practices across the IT industry. Collision is the fastest growing tech conference in America. Now in its fifth year, Collision has grown to over 25,000 attendees and is in for a big change in 2019. Keep IT real. For more than 30 years, Interop has provided an independent space where IT pros can meet and learn from each other about what’s really going on in the industry. The unbiased IT conference. TechConnect Live is Ireland’s largest annual business and technology exhibition for Micro, SME and Enterprise level companies. Join our free seminar and know how our network management solutions can help you in monitoring your networks, servers and apps effectively. Infosecurity Europe is the region's number one information security event featuring Europe's largest and most comprehensive conference programme. From solving your data-driven business challenges to helping you navigate the latest Big Data tools, Big Data Toronto is designed to give you a 360 degree view on the industry. TechXLR8 is London Tech Weeks flagship event, revolutionising business by connecting people and technologies driving transformation. iTech is Vancouver's leading IT technology conference and exhibition focusing on Infrastructure, Cloud, Security, Data Centre and Mobility. NXTAsia is Asia's definitive event that showcases emerging technologies and enterprise solutions. The event also lines up a host of experiential onsite activities, including presentation areas, tech tours and more, to offer a holistic experience for attendees. Learn about the latest cybersecurity developments in expert-led sessions, inspiring keynotes and in-depth seminars. The summit is part of the well-established national series, bringing the best (and sometimes most underrated) WA tech stories and valuable lessons learnt. Join India's CISOs and top security and risk management professionals to hone your leadership capabilities and gather the information you need to enable digital business in a world of escalating risk. VMworld, where the people and organizations creating the digital foundation for technology and business transformation gather together. From data center to cloud to device, VMworld is the meeting place, the showcase, and the focus of learning for technology companies delivering maximum benefits to business and society. From today's most-trusted products to tomorrow's technologies, you will leave infused with inspiration, new ideas and relationships. Whether you attend for a day or four, you’ll engage in free-flowing ideas that will help you and your business achieve tomorrow’s business goals, today! R3: Resilience, Response & Recovery is the #1 conference focusing on post breach response plans, including forensic and legal requirements, communication strategies and top tips for a fast recovery. Take the journey into new digital possibilities. SecTor has built a reputation of bringing together experts from around the world to share their latest research and techniques involving underground threats and corporate defences. Europe's number ONE IT event for those looking to find out how the latest IT innovations can drive their business forward. Visit us at APAC?s largest and longest running B2B technology exhibition and conference. Leading trade show and conference on IT security, data management and cloud computing. VMworld is the meeting place, the showcase, and the focus of learning for technology companies delivering maximum benefits to business and society. Learn from top VMware and industry experts about what matters most today in IT and what's coming next. The place to meet everybody who’s anybody in African telecoms and technology, AfricaCom brings together 14,000 attendees, 450 speakers. Guided by the latest impartial Gartner research and input from infrastructure & operations leaders and your peers from around the world, this singular event explores what makes a successful strategy. THE UK’S LEADING EVENT FOR INFOSEC, CYBER SECURITY AND RISK MANAGEMENT PROFESSIONALS ACROSS EVERY MAJOR BUSINESS SECTOR. Black Hat provides attendees with the very latest in research, development, and trends in Information Security. Infocom Security Conference is the reference point for the security specialist and the place of their annual meeting. 5th Annual Malaysia OpenGov Leadership Forum 2019 will focus on the tools and techniques that builds on government’s mission. A professional and dynamic environment, with quality content, where you can meet for two days, update knowledge and discuss. IP EXPO Manchester is part of Europe's number ONE Enterprise IT event series. Learn how to streamline IT incident, problem, change, and asset management using a combination of automations. aking place over three days from 25-27 March 2019, this event will bring together a record number of IT service professionals from over twenty countries and from every industry imaginable. IT & IT Security MEETING est l'unique salon accélérateur de mise en relation d'affaire sur le marché de l'IT & de la sécurité informatique. Attracting more than 1,800 delegates from commercial and government sectors, JuiceIT brings together IT buyers and decision makers who are actively seeking solutions and services to take back to their organisations. Data Connectors is the leading provider of cyber-security conferences in the US and Canada. Join our free seminar and understand the challenges in managing your networks, servers, and applications infrastructure and how our solutions. Discover the latest trends in Endpoint Security and IT management practices. Zorg & ICT is the annual highlight for current information, visible innovation and inspiration in the field of digitally driven care. The natural meeting place for those who use ManageEngine's solutions - customers and partners. The ultimate destination for the education and inspiration you need to thrive in the world of IT and digital business. Through interactive installations and provocative content, Dx3 is your one-stop-shop for taking advantage of everything digital marketing has to offer. ITSM Tools Live Demo Day, taking place on Wednesday 20 February is the perfect way for you to narrow down your search on finding the ideal tool for your service desk. 23nd Annual International IT Service Management Conference & Exhibition. The premier cyber security summit and expo. Technical Evangelists from ManageEngine ADSolutions team will elaborate on the next-generation AD trends, techniques, and best practices to stay on top of rapidly rising security threats. A must-attend Senior Executive summit focused on the ICT and CE industry catering to those looking for opportunities to expand channel foot-print and improve operational efficiencies. Along the past 21 years, Cairo ICT has been hovering around the concepts of transformation, however leading to the concept through multiple ways. CIOIC Insight Summit brought together senior IT decision-makers and business leaders from across the worldwide in Singapore to share their views on how to tackle the biggest challenges in tech today. ESPC is Europe's leading online community, providing educational resources and encouraging collaboration. The MED-IT trade show, held in Morocco since 2002, is a showcase of innovative technologies and a place where Morocco's IT industry professionals and decision-makers can get together to network. Insight and inspiration for ICT. Participate, network and exchange best practice ideas on various facets of IT Service Management with pragmatic insights from Industry thought leaders. The UK?s leading event for risk driven business-centric IAM luminaries, practitioners and end-users from across government and large enterprise organisations. Data Centre World, Paris le plus grand rassemblement dexperts de Data Centre en France, aura lieu les 27 et 28 novembre 2018 sÿ Paris, Porte de Versailles. iTech is Canada's leading IT technology conference and exhibition focusing on Infrastructure, Cloud, Security, Data Centre and Mobility. Confira novos recursos e atualizações de produtos, integrações e casos de uso reais, todos com o objetivo de manter você à frente do mercado. At VMworld 2018, VMware?s premier digital infrastructure event, you can find what you need to launch the digital transformation that relies on you. Directeur gZ¯nZ¯ral, marketing, financier ou ventes, chief digital ou innovation officer... Vous ?tes votre propre disrupteur ! Prenez de l'avance sur vos concurrents et enclenchez les projets digitaux qui vont booster votre entreprise. Erfahren Sie, wie Sie mit ITIL Best Practices und den richtigen Automatisierungen Ihre Incidents, Problems und Changes sowie das Asset Management optimieren. Regional Cyber Week 2018 is the ideal platform to consider about network, strategies and establish partnerships in the cybersecurity space, with an emphasis on international and regional cooperation, cyber ecosystem development and ever-evolving innovation. The EDUCAUSE Annual Conference calls together the best thinking in higher education IT to become even better at what we do. This is where professionals and technology providers from around the world gather to network, share ideas, grow professionally, and discover solutions to today?s challenges. It?s the largest gathering of your peers?people you can relate to, learn from, and stay connected to throughout the year. The annual Oracle convention for business decision-makers, IT management, and line-of-business end users. 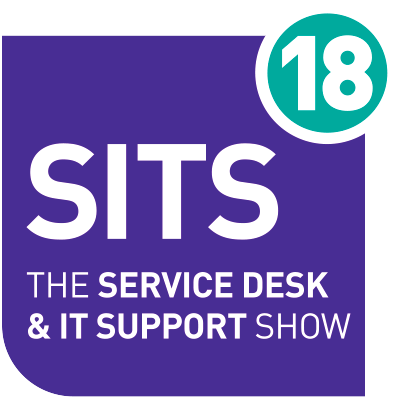 An opportunity to gain accurate impression of the 13 market-leading IT Service Management solutions. The IDEAL platform for ICT professionals to connect, witness the latest technologies and learn from each other. Mark your calendar for two days of unlimited learning and fun at the ManageEngine User Conference in Chicago. The 2018 Gartner Symposium/ITxpo covers Cloud Computing, Data Analytics, Business Intelligence, Digital Transformation, and more. Learn about the event! The 5th Annual University IT Service Strategy & Challenges conference. Microsoft TechDays is the conference for those who want inspiration, discover exciting news and deepen your knowledge about Microsoft's products and services. It is a unique meeting place with some of the world's top speakers and the best opportunity for the year for skills development and trend spanning. Join our free seminar and understand the challenges in managing your networks, servers, and applications infrastructure and how our solutions can help you solve them. Ver las nuevas caracterêsticas y actualizaciones de los productos, integraciones y casos de uso, todo preparado para mantenerlo a la vanguardia. The Vancouver Cyber Security Conference features 40-60 vendor exhibits and 8-12 educational speaker sessions discussing current cyber-security issues. Almost 60% of companies in the CEE region have not yet formed a digital transformation (DX) strategy, while the main goal for those that have is to improve automation and efficiency. Main drivers for DX initiatives in CEE companies include the adoption of new technologies used by partners and customers, the emergence of new business models, and ‹ obviously ‹ staying competitive in their market. O IT FORUM X Z¯ um evento B2B que re“ne toda a comunidade cuja vida profissional Z¯ influenciada pela TECNOLOGIA. Transportes, Supply Chain, Logêstica, Recursos Humanos, Marketing e Vendas, TI, Finan?as, Compras, entre outros, reunindo as principais empresas de tecnologia e telecom com os decisores do mercado em um ambiente de Conte“do, Relacionamento e Negãcios. ManageEngine crZ¯e des solutions compl?tes pour la gestion de l'informatique en se focalisant sur la facilitation du travail de tous les administrateurs informatiques. Powered by HDI, the premier association for service and support professionals, Service Management World is a groundbreaking new event designed to meet the unique needs of service management and technical support leaders. For 37 YEARS, the most renowned names in technology have come alive at GITEX Technology Week. 1 week showcasing the global technology and innovations that are converging sectors and industries 365 days a year. GovInnovate is the premium forum for the public sector to achieve excellence in service design, digital delivery and security. The UK?S leading event for cyber security thought leaders and innovators across government and all major business sectors. The Best & Most Cost-Effective platform to interact with Government and senior Municipal officials in South Africa. Calling all IT pros and tech marketers: Join us for SpiceWorld 2018 in Austin, TX ? the live music capital of the world! Únase a nuestro seminario gratuito y conozca los desafíos de gestionar su infraestructura de servidores, redes, aplicaciones y cómo afrontarlos con la ayuda de nuestras soluciones. Jak co roku widzimy sie w Poznaniu, by przez 2 dni konferencji przedstawicâ Wam case study uzìytkownikãw rozwiazanâ marki ManageEngine. Enterprise Mobility Summit brings together top industry leaders from various sector, to discuss on the various challenges, implementation process and the benefits of transforming themselves to a mobile and agile organisation. Keep up with the latest ITSM trends and industry best practices. FUSION 18 is where IT experts, practitioners and solution providers from around the country come together to gain new insights to propel their role in the IT Service Management world. This is the event to connect with your ITSM peers to participate together in powerful educational sessions sourced from some of the brightest ITSM minds. A jam-packed Expo along with networking opportunities will ensure that your ITSM spark is reignited to implement fresh methodologies when you return to the office. SecTor has built a reputation of bringing together experts from around the world to share their latest research and techniques involving underground threats and corporate defence. IP EXPO Europe is Europe's number ONE IT event for those looking to find out how the latest IT innovations can drive their business forward. Join our free workshop to understand and troubleshoot the challenges in managing your networks, servers, applications infrastructure and learn how our solutions can help you solve them using our suite of solutions. The best and brightest minds will be all in one place to talk cloud infrastructure and management, productivity, big data and the internet of things, unified communications, mobility and more. So welcome, thinkers. And get ready for a glimpse at what?s possible today and in the future. Nigeria Com has evolved into the most influential place for TMT leaders who want to bring new digital services to the people and businesses of Nigeria. The hottest topics in the industry are explored in our two day conference. Check out a few below! R3: Resilience, Response & Recovery 2018 is the #1 conference focusing on post breach response plans, including forensic and legal requirements, communication strategies and top tips for a fast recovery. Mark your calendar for two days of unlimited learning and fun at the ManageEngine User Conference in London. Des tZ¯moignages remarquables pour un ITSM hautement performant. Neem gratis deel aan dit seminar en begrijp de uitdagingen in het managen van uw netwerken, servers, infrastructuur en uw applicaties en hoe onze oplossingen u helpen dit op te lossen. The Montreal Cyber Security Conference features 40-60 vendor exhibits and 8-12 educational speaker sessions discussing current cyber-security issues. An Open Source Monitoring & Observability Conference. VMworld is VMware's premier thought leadership and education destination for cloud infrastructure and digital workspace technology professionals. Presentadores expertos: Derek Melber tiene 15 a?os de experiencia en capacitaci?n de Active Directory. ILTACON is the premier educational and networking event for the legal sector. Drawing on the personal and collective strengths of law firm and law department professionals, ILTACON is the best place to learn what works, what doesn't and what?s next in legal technology. Through a variety of session formats, topic experts deliver examples, inspiration and takeaways that can be applied to the challenges and opportunities you face within your team, your organization and the industry. This summit is a part of the well-established national series, bringing the best WA tech stories and valuable lessons learnt. Um palestrante bem informado: Derek Melber tem 15 anos de experi?ncia no treinamento sobre Active Directory. The increasing prevalence of attacks and recent legislation means that Cyber security now has priority at the board level. Traction Conf brings you actionable strategies and tactics for supercharging your growth, straight from founders and leaders of some of the fastest growing companies. Conozca nuevas caracter sticas y actualizaciones de los productos, integraciones y lanzamientos. Todo con el fin de mantenerlo actualizado. RSA Conference 2018 Asia Pacific & Japan is the leading information security event in the region. And with good reason. Descubra c?mo optimizar los incidenctes de TI, la gesti?n de problemas, cambios y activos utilizando las mejores pr?cticas de ITIL y las automatizaciones correctas. Microsoft Inspire is the largest event for Microsoft partners and draws roughly 18,000 attendees from over 140 countries together for a week of networking, creating leads and partnerships, and in-depth learning on business-building strategy. No other conference brings together so many of the most engaged leaders in the Microsoft partner ecosystem. Asia?s most established and relevant event for industry professionals in the telecommunications sector. Today's business demands are dynamic and often IT teams struggle to meet them. Velocity is where systems engineers, software developers, architects, and DevOps teams gather to learn what works and what doesn?t from industry experts and fellow practitioners. Come and discover how the world's leading organizations build and manage their distributed systems?and leave with concrete solutions to apply to your own work so you can build faster, more durable, secure systems. Cisco Live US is the industry's premier education and training event for IT, networking, and communications professionals. Dzisiejsze wymagania biznesowe sa? bardzo dynamiczne. To fakt. Mark your calendar for two days of unlimited learning and fun at the ManageEngine User Conference in Pleasanton. Le richieste del mercato moderno sono in continuo cambiamento e per i team IT non ? sempre semplice soddisfarle. Ignite ?18 USA will be the sixth ? and the most exciting, most technically advanced ? Palo Alto Networks Ignite cybersecurity conference! This four-day event will be overflowing with highly technical 1:1 sessions, the latest in network security, endpoint security and cloud security, specialized course tracks, technological disruption, expert speakers, outstanding networking opportunities, Ultimate Test Drives, Hands-On Workshops, PSE and PCNSE certification exams, and more Cyber Range trainings than ever before. Invitation-only, hosted business summit that gathers CISOs and cyber security leaders to address strategy, solutions and the unique needs of the CISO. Listen to future trends and be prepared for new developments in the era of Digital Transformation. Best practices for transformation to an agile and reliable IT organisation. Red Hat Summit is the premier open source technology event to showcase the latest and greatest in cloud computing, platform, visualization, middleware, storage, and systems management technologies. Your success is at the center of Knowledge18. Every day offers new ways to hone your skills and take advantage of the innovations impacting your industry. Come along and jump on the fast track to transformation?for you, your business, and the future of work! Mark your calendar for two days of unlimited learning and fun at the ManageEngine User Conference in Australia. The Gulf Information Security Expo & Conference (GISEC) brings together over 7,000 top security professionals to discover cutting-edge solutions, share insights with industry experts and equip themselves with the right tools to protect their businesses from rapidly-evolving cyber attackers. The Only Independent Conference for Tech Leaders. Interop ITX combines a trusted Conference program with a vendor-neutral Business Hall and a lot of networking events to boot. We'll help you fit the pieces of the modern day technology puzzle together. SIT Forum, a platform dedicated to discussions and networking on the strategic theme of computer and network security. The Sultanate of Oman?s Annual Premier ICT Event Welcome to Comex. Showcasing trends & breakthrough technologies that impact the way people live, communicate, work & network in the 21st century, Comex will be held from 24-28 April 2018. Prevent the next wave of cyberattacks and become compliant with the GDPR, all through effective management of endpoints, OSs, patches, assets, and enterprise mobility. The UK?S leading event for infosec, cyber security and risk management professionals across every major business sector. Information is power. And wherever there?s power, there are people looking to steal it. But that?s also where you?ll find us. We?re RSA Conference. And we?re here to stand against cyberthreats around the world. The 20th Edition of the MPLS + SDN + NFV World Congress, to be held 10/13 April 2018 in Paris, will once again gather major actors of service providers and enterprises networks evolution. 4th MIDDLE EAST CYBER SECURITY SUMMIT. A disrup? ?o digital est? transformando mais do que apenas a empresa. Est? fazendo com que os modelos de infraestrutura e opera? ?es tradicionais fiquem obsoletos, desafiando os l?deres de I&O a repensarem processos, parcerias e tecnologias tradicionais. For more than 20 years security professionals have made InfoSec World the ?business of security? conference. To manage today?s threats, security practitioners must have the skills to be both a business partner and enabler, and have the technical expertise to prevent, detect and respond to security challenges. InfoSec World features a world-class program and expert speakers from the field to help you do just that. Arming financial services organisations with the latest security tools and strategies in an increasingly vulnerable digital landscape. Everything you need to know about IT security. Cisco Live is where IT and communications professionals come to get the knowledge and skills they need through in-person events, live webcasts, and on-demand sessions. Now in its 3rd year, Dot Finance Summit Africa is Africa's largest FinTech event. 22nd Annual International IT Service Management Conference & Exhibition. ahrain?s position as the Middle East?s most liberal information and communications technology (ICT) market, along with excellent infrastructure, has encouraged many ICT companies to base their regional headquarters in Bahrain. Mark your calendar for two days of learning and fun at the ManageEngine User Conference in M?xico. CPX 360 is where you?ll receive up-to-the-minute intelligence about global-threats and other vital topics from world's leading cyber security experts. Discover latest features and updates, engage in hands-on exercises and interact with peers. Data Centre World, Paris est le plus grand rassemblement d?experts de data centres, un lieu de partage de connaissances et de savoir-faire destin? ? tous les acteurs du secteur. The IT Forum Expo, the anchor event of S?o Paulo Tech Week, a festival that celebrates the creative, innovative and entrepreneurial DNA of the city of S?o Paulo, arrives in its fifth edition in 2017. Ustedes son los campeones de la configuraci?n; los sultanes del software, los pashas de los perif?ricos, los gur?s del ancho de banda, los magos del wireless; los reyes y reinas del cloud. Be able to engage in hands-on exercises. The world of IT is constantly developing. What was trending topic yesterday, is history today. Discover the latest trends in IT Security and IT management practices. Turn your vision into action at Gartner Symposium/ITxpo, where the world?s top CIOs gain a strategic view of the emerging trends shaping IT and business. World's largest, most influential gathering of data centre expertise. Get practical know-how from tons of IT and Spiceworks sessions, real tech conversations with key vendors, and in-the-trenches stories from IT pros just like you. The Journey Is Just Beginning Get ready to breathe new life into your business. R3: Resilience, Response & Recovery 2017 is the #1 conference focusing on post breach response plans, including forensic and legal requirements, communication strategies and top tips for a fast recovery. Mark your calendar for two days of learning and fun at the ManageEngine User Conference in Colombia. Access deep technical training, discover new tools for innovation, and connect with the tech community. We're happy to present this free series of online workshops to help you master Active Directory (AD), Exchange, and Office 365 administration using ADManager Plus. Every workshop includes live demonstrations to show you how ADManager Plus simplifies every aspect of Active Directory management. VMworld 2017 Europe has concluded. Thank you to all our attendees, whose energy and enthusiasm demonstrated how together we can truly Be Tomorrow. RSA Conference 2017 Asia Pacific & Japan is the leading information security event in the region. Join us for three days of high quality education, engaging content and valuable networking. Whether you are new to the cloud or an experienced user, you will learn something new at an AWS Global Summit. Come face to face with technologies most influential audience. The UK's leading event for the discussion and deployment of risk-driven business-centric Identity. Desktop Central integrates with ServiceDesk Plus to facilitate desktop management and help desk activities from a single console. This integration will let you resolve help desk requests using Desktop Central. Active Directory & IT Security Breakfast Seminar -2017 - Washington, D.C.
We?re really happy with the show, the stand has been busy, we?ve had some great conversations and good opportunities to follow up on ? which is why we never miss the show. From the archives of ManageEngine ADSolutions, we present to you a series of free online workshops that will help empower end users to handle. As part of Desktop Management, administrators should also require to standardize the system and application configurations to give users an uniform experience across the organization. With over 25 pre-defined configurations and over 65 templates, this can be achieved with ease. The technologies used by banks in the renegotiation of customers debts and virtual platforms for conscious use of credit are in the latest issue of Ciab FEBRABAN magazine. ManageEngine Log360 presents you free online workshops with live demonstrations that help you master the various tricks. ManageEngine ADSolutions presents this series of free online workshops to help you master the various tricks. An administrator must be up-to-date on the information about the software and hardware used across the organization. Manual compilation and reconciliation of IT assets is effort-intensive and error-prone. Desktop Central's Web-based Inventory Management not only helps automate this task, but also provides out-of-the-box Network Inventory reports. A staggering 56% of companies in the Middle East have suffered losses greater than $500,000 as a result of cyber-attacks in the last 12 months, how will your business continue to stay digitally agile without compromising on security? Distributing, installing, updating and uninstalling software applications are common tasks in all enterprises. These tasks include a lot of processes and usually take up a lot of administrators' time and resources. In an Active Directory environment, amazing things happen. There are objects that we know, as well as those that hide many secrets from us. Whether you are new to the cloud or an experienced user, you will learn something new at the AWS Summit. Cyber-attacks in Singapore are increasing, with 72% of CIOs reportedly detecting more cyber-attacks now than 12 months ago. Findings show that 85% of Singaporean CIOs expect their companies will be attacked more often because they lack skilled talent on IT security. Mark your calendar for a full day of unlimited learning and fun at the ManageEngine User Conference in Israel. Mark your calendar for a full day of unlimited learning and fun at the ManageEngine User Conference in Turkey. ManageEngine ADSolutions brings you a brand new series of free online workshops to empower you with hassle-free backup and restore of both your Active Directory and Virtual Environment using RecoveryManager Plus. ManageEngine ADSolutions presents this free online workshop series to help you learn the finer points of efficient Exchange Server monitoring, auditing and reporting using Exchange Reporter Plus. ManageEngine ADSolutions presents this series of free online workshops to help you master the various tricks and tactics of efficient AD auditing using ADAudit Plus. ManageEngine Log360 presents you free online workshops with live demonstrations that help you master the various tricks and tweaks of efficient log management, auditing, and network security management. ManageEngine ADSolutions presents this series of free online workshops to help you master the various tricks and tactics of efficient AD administration using ADManager Plus. Explore how your IT can be Simple. Fast. Efficient. Mark your calendar for two days of unlimited learning and fun at the ManageEngine User Conference in Dubai. Cisco Live delivers education and inspiration for technology innovators worldwide. Take advantage of this opportunity to learn about new approaches to info security, discover the latest technology and interact with top security leaders and pioneers. You?re invited to join the largest gathering of the global Amazon Web Services community at AWS re:Invent 2016. Cisco Live delivers education and inspiration for technology innovators worldwide. Transform your outlook, your career, and your potential with 4 days of education, networking, and fun! ManageEngine ICT tooling by CBAholland, the distributor for powerfull, easy and affordable ICT tooling. LEARN?practical how-tos, IT and marketing best practices and the latest in tech trends. Plus, share in-the-trenches experience with other IT pros and marketers. The Industry?s Leading Technical Service and Management Conference. GITEX TECHNOLOGY WEEK 2016 merges the real with the virtual and opens the mind to experience living like never before. For the fourth year running, the award-winning Data Centre World Singapore will provide the definitive platform for key industry buyers to meet, learn from and do business with the most innovative and exciting data centre solution providers on the planet. Tej jesieni zapraszamy na najwie?ksza? konferencje? Service Management w Polsce ? czas na ManageEngine Forum 2016, czas na Need for ITIL 2. V?lkommen till ManageEngine Anv?ndarkonferens 2016. Microsoft Ignite gives you five days of hands-on learning, industry insights, and direct access to product experts?all in one place. Secure your spot now. How will you view technology differently at this year's Oracle OpenWorld? See what attendees experienced last year.